Hi, friends!!! 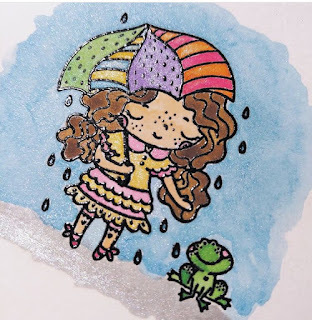 Thanks for joining us today for this blog hop featuring the new Breathe Rainbows stamp set collaboration with Kimma Parish from Le Petite Market, where you can find LOADS of adorable digital images in her Etsy shop. Let's start with this, the image that started it all. HA! My friend Laurie had posted this card on Instagram way back in late November/early December and it was love at first sight. I ran over to check out the artist and her other images and contacted her immediately about doing a collab. Funny thing is that I didn't hear back from her right away so I went digging through my e-mails a month or two later and found my message to her sitting in draft mode. Doh!!! I already made a card using this set for the Coffee Lover's blog hop last weekend and my Design Team girls couldn't wait to start playing with it either. Lynnea used the adorable girlie right away and messaged me this photo. I mean how cute is she?! The teeny, tiny, cutest frog ever was a last minute addition and I'm so glad he made it. Now HOP along (see what I did there? 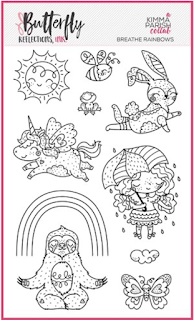 haha) to see what the girls have created and be sure to stop by the shop to pick up this adorable stamp set for yourself. 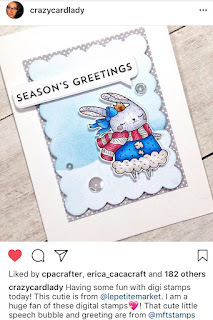 You can find more of Kimma's work in a couple of Pink & Main stamp sets, one of which is called Perfect Blend (matching dies are available). Thank you so much for visiting today. 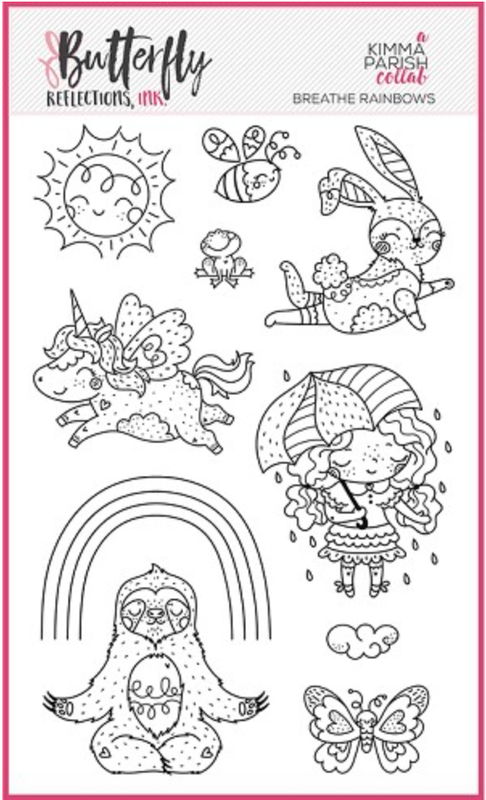 You can find lots of fun new goodies in the shop! As always, thank you for your support and don't forget, if you're in the southern NH area to come visit in person!!! 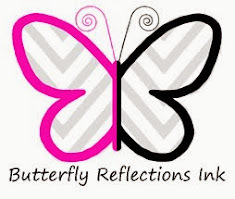 You can find the address along with store hours in the STOREFRONT tab on my website. I'd love to meet you!